Image credit & copyright: Jeff Berkes. If you want wide open horizons, the Southwest United States has you covered. Located in Utah’s 120 square mile Arches National Park is Delicate Arch. This most prominent feature is a 60 ft. (18 m) high sandstone arch carved by wind for the explorers among us to visit and for the rest of us to admire in these amazing images. 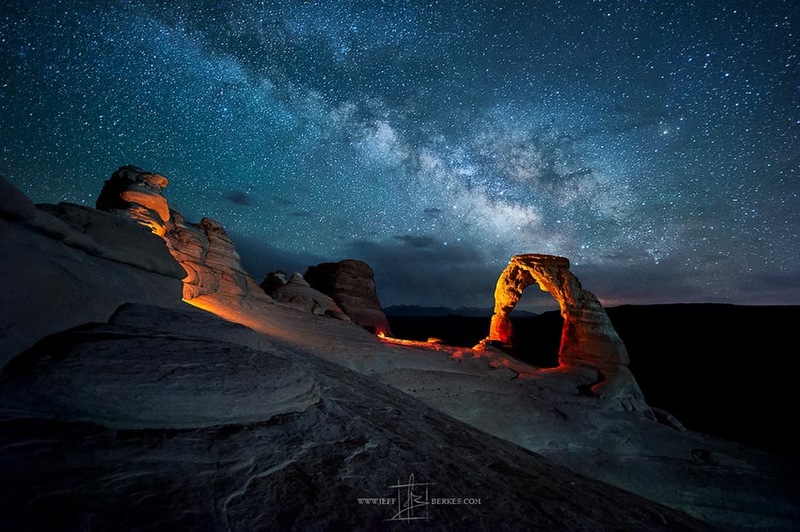 In this image we see Delicate Arch illuminated by the headlamps of members of Jeff’s night sky workshop which he was holding that night. 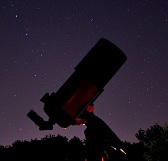 Light years beyond, our home star city has begun to roll into view to create nothing less than the perfect scene. I hope everyone’s having a great week and be sure to check out more of Jeff’s work. Image | This entry was posted in Astrophotography (Wide Field), Galaxies, Images and tagged Arches National Park, Astronomy, Astrophotography, DanSpace77, Delicate Arch, Jeff Berkes, Milky Way, Nature, Night Sky, Utah. Bookmark the permalink.